It won’t be a stretch to say that most creatives – whether you’re a web designer, illustrator, photographer, developer, etc. – know what it’s like to work with limited budgets. It can often feel like clients barely have enough to even pay you for your time, let alone have the budget for the truly unique resources that can make a project really stand out. Thankfully, there are some great places on the web that can provide some relief. Having these sites bookmarked can help you finish your project on time and under budget. The following list is for all my fellow freelancers. 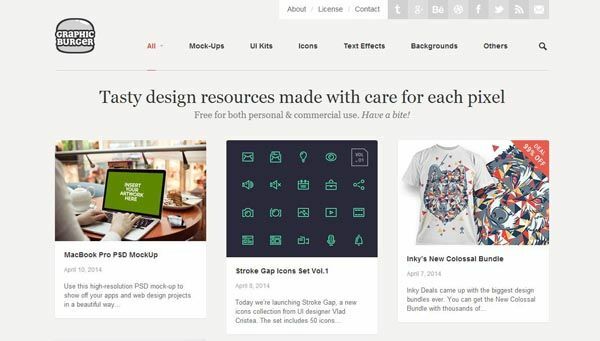 Included are different websites that offer free, high-quality design resources. Most of the websites on this list are some of the lesser known design resource websites, along with a few well-known websites simply because they are my favorites and are too good not to mention. Hopefully, you’ll be able to find some great freebies to help you take your projects to the next level. Vecteezy is definitely a more well-known resource for both premium and free vectors. If you don’t yet have this one bookmarked, you may want to do so now. 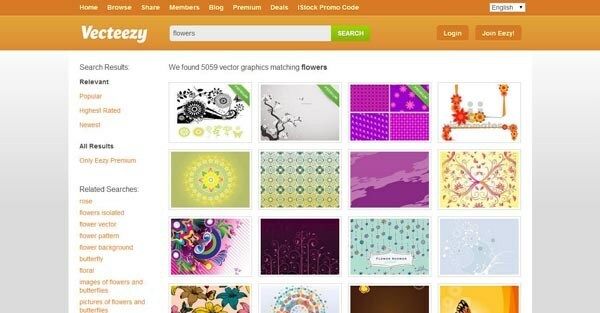 Started by the same owner of Brusheezy, Vecteezy is easy to use with an advanced search feature. All of the vectors display their License and explain it so that you know exactly how you can use the vector in your designs. Best of all, they seem to have just as many, if not more, free vectors as they do premium, and the premium vectors are clearly marked with a banner. Nick G. Botner is a UI/UX designer with additional skills in areas such as identity/ print design, photography, and HTML/ CSS. 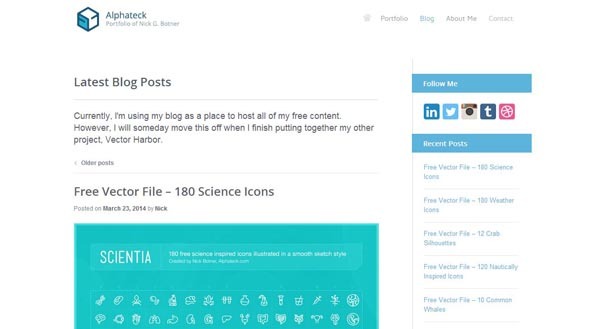 His website, Alphateck.com, includes a blog on which he hosts free vector packs that he designs. All are available for use with only a payment of a Tweet or Facebook post. A few even allow you to skip the social sharing payment and pay a few dollars or less. 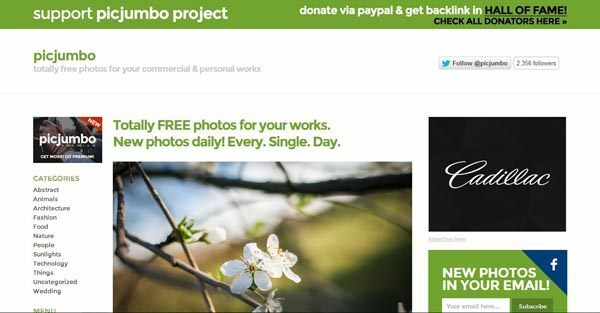 PicJumbo is a rare website that provides high quality stock photos free for commercial use. Victor Hanacek is the amazing photographer behind this site, and uploads a new photo every day. If you find yourself using his photos often, be nice and donate a portion of your profits. It’s quite amazing that he offers such beautiful photos with no strings attached. While Getty Images is certainly one of the most well-known resources for stock photos, it is not known for free photos. Until just last month, if you wanted free use of the photographs, you had to be comfortable with the Getty watermark. Getty changed this with an embed link that displays a credit footer at the bottom of the photo. This is perfect for your blogging clients or even those who really want the wow factor of high resolution, quality photos and don’t mind the footer. The images just can’t be used for commercial purposes. Many clients need to display screenshots of their app or software on their website. FireShot is an excellent tool for capturing high quality screenshots and making edits immediately without using another program. Right on the screenshot, you can make edits and add text annotations and then save, copy, send by email, share, or upload to FTP. If you feel like you waste a lot of time copying screenshots to your image editor only to make minimal edits, then FireShot could be the time-saving tool you need. 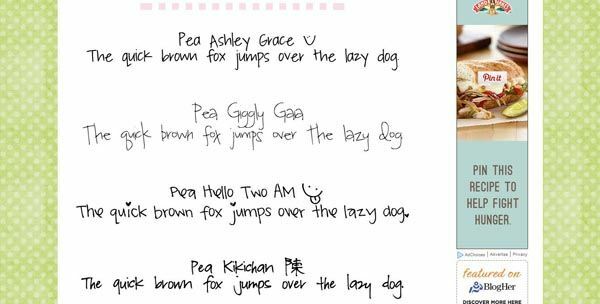 Open Font Library is an excellent source for some really unique and creative fonts. While the catalogue is not huge, it still contains several hundred unique font families. 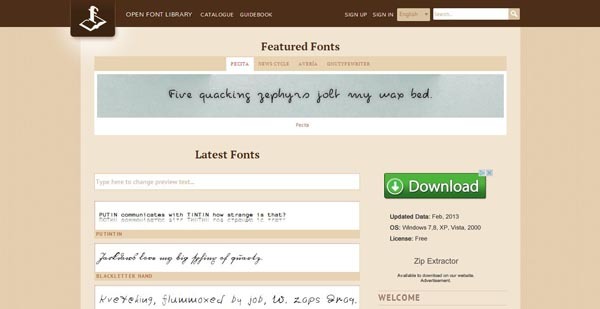 But the really big perk of this free font website is that it contains a number of fonts from different languages, such as Latin, Persian, Farsi, and more. Creative Alys provides a variety of resources which include PSD and Mockups, vectors, fonts, and programming/development resources, like their definitive guide to MongoDB. While their selection is not huge, it is still a great place to look if you have exhausted all of your other resources or simply want to browse for something more unique. It is rare to find a web design company that will offer their old resources for personal and commercial use. Brankic 1979 is one such web design/development team that offers a rather large collection of design freebies, including widgets, UI kits, icons, and more. And all are, as to be expected from professionals, very high quality. Sallee Design is the website of another generous designer, Jeremy Sallee. As a designer with an engineering background, Jeremy provides some incredible, top notch web design resources. 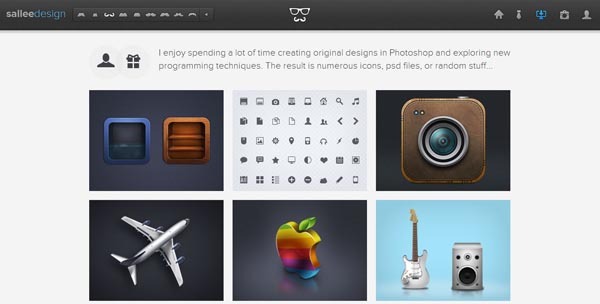 Included in his list are icons, PSD files, and even a wallpaper. 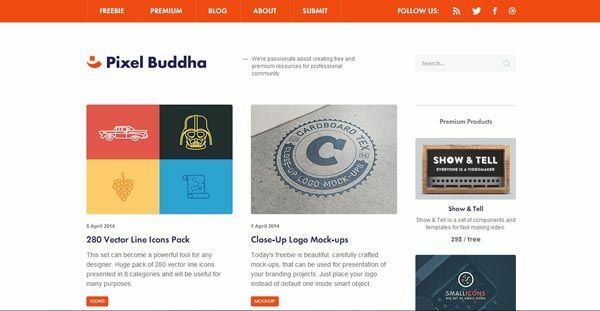 All of the freebies on Pixel Buddha are completely free for commercial use, which is amazing because they are all very impressive and original. 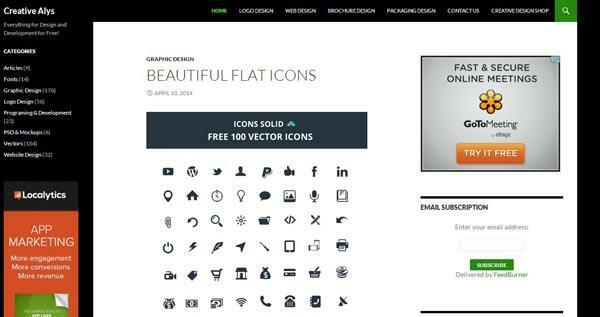 Included in the list of free resources are icons, UI kits, effects, animation, templates, and mockups. Still in Beta, Dreamstale is a very new resources roundup website that also publishes articles, tips, and tutorials. The Dreamstale freebies is an already impressively large list of free downloads, such as icon packs, Photoshop actions, backgrounds, vectors, mockups, and much more. 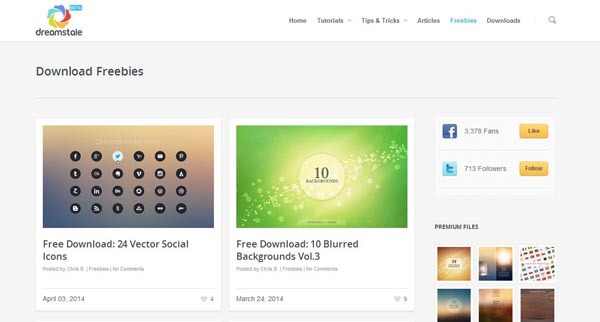 KL-Webmedia is yet another design studio that offers an awesome list of freebies. 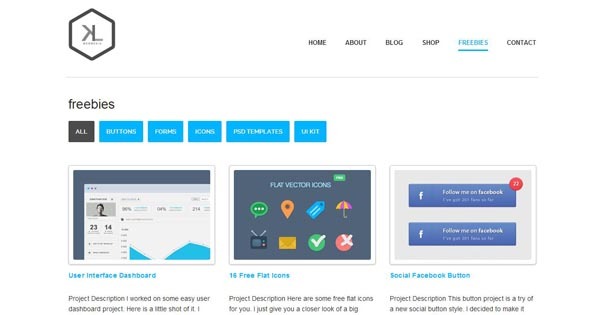 Patrick M., the incredible designer behind the studio and free resources, provides such free web design goodies as icons, buttons, PSD templates, UI templates, and more website elements. 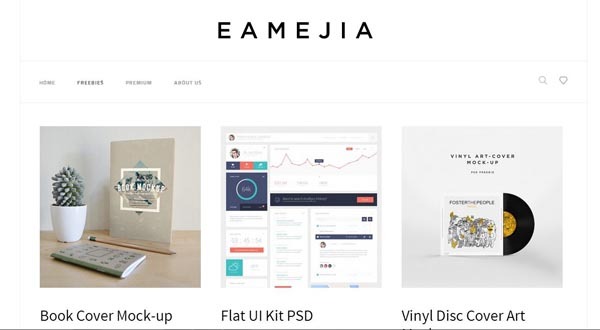 Eduardio Mejia is an engineer and designer and also founder of an incredible website store called eamejia that also offers freebies for more than just web designers. In his free list, you will find mockups for book covers and other print designs, UI kits, website backgrounds, PSD web templates, and more, all listed under a Creative Commons Attribution 3.0 License. Many of you may already know about Graphic Burger, but it is just an amazing site that I couldn’t help but mention it here. Everything on the site is free for both personal and commercial use and every few days they post something new. Included in their resources list are mock-ups, UI kits, text effects, icons, PSD files, and much more. Be sure to bookmark either this page or the above websites to make completing your web design projects much faster and, therefore, more profitable. Share some of your favorite websites that offer great freebies in the comments section below!